PIGEON FORGE, Tenn. (July 29, 2014) – Pigeon Forge anticipates an influx of new sports tourism in 2016 now that a construction contract has been signed for a six-field complex that will become the Ripken Experience. The city approved a $22.5 million contract with Merit Construction at its July 28 meeting. Barge Waggoner Sumner & Cannon is the engineering firm. The city will issue bonds to fund the facility, which is located off of Teaster Lane. 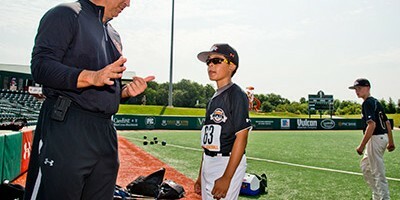 The city earlier signed a 10-year contract with Ripken Baseball to market and manage the complex that will host world-class youth baseball tournaments nine months of the year and offer year-round branded programming, including events. 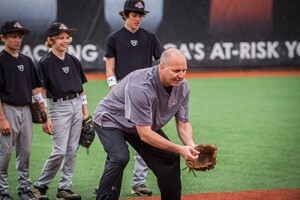 Ripken Baseball operates Ripken Experience facilities in Aberdeen, Md., and Myrtle Beach, S.C. The vision for these complexes comes from Hall of Fame baseball player Cal Ripken, Jr., and his brother, 12-year Major League veteran Bill Ripken. Construction of the Ripken Experience in Pigeon Forge will include six lighted baseball fields with synthetic turf, a lighted synthetic turf training area, batting cages, a 14,137-square-foot two-level clubhouse and a 2,749-square-foot concession/restroom building with an adjacent pavilion. Each stadium will resemble an existing or historic ballpark. One already decided is Oriole Park at Camden Yards, home of the Baltimore Orioles. “This location is stunning. It is above the Parkway and offers spectacular views of the Great Smoky Mountains. It will appeal to baseball coaches and teams on many levels,” said Eric Brackins, Pigeon Forge’s assistant city manager. Some site preparation has been done, and Merit’s work will begin in earnest in early August. The facility will be ready for tournament action in spring 2016.